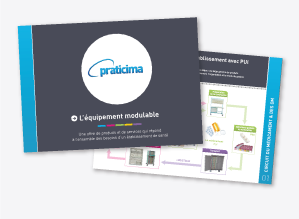 Praticima, as French leader of medical equipment, is pleased to inform you of its merger with C2S Medical company. C2S is a young innovative French company specialized in dental hygiene. It has an enviable position in the medical field. In order to improve comfort and dental hygiene to dental prosthesis holders, C2S has designed C2SPRO, an automatic cleaning system for dental prosthesis. C2S PRO is unique and innovative and is compatible with all types of removable and screw-on fixed dental prosthesis of any health establishments. It enables to automate dental prosthesis care which can be daily or curative and can also help medical staff in this difficult and time-consuming task. In addition to work, both companies are sharing service and innovation values. This combination is perfectly in line with the growth strategy of both companies and their common purpose is to satisfy their customers as best as possible.